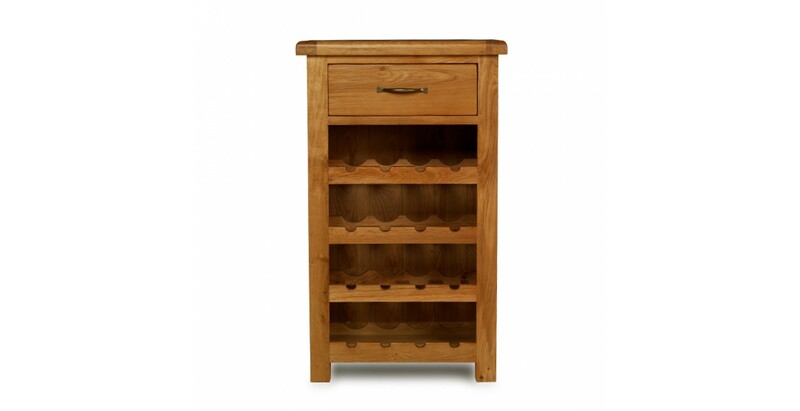 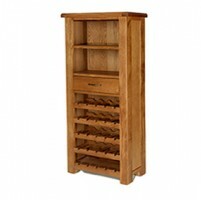 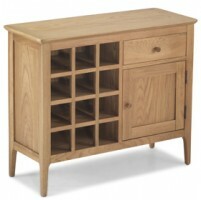 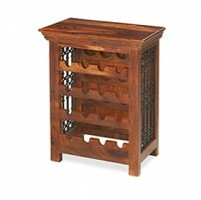 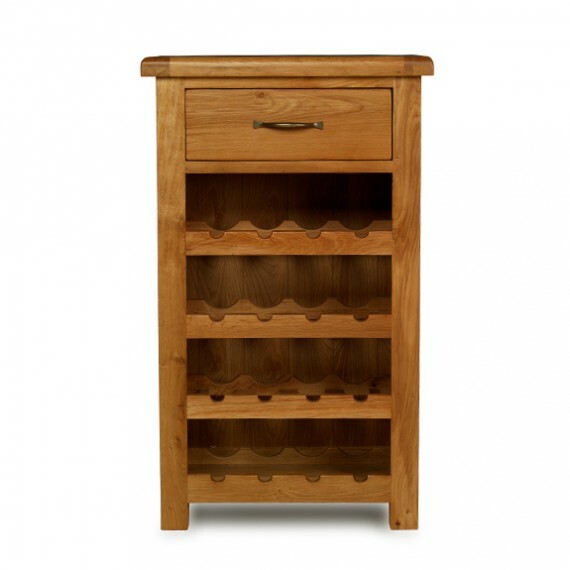 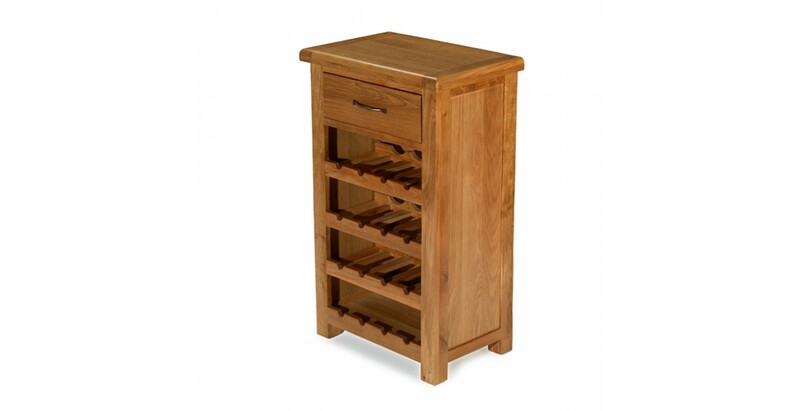 Holding 16 bottles of wine on its tailor-made rack, this is the perfect piece of furniture for a lover of the grape and the grain. 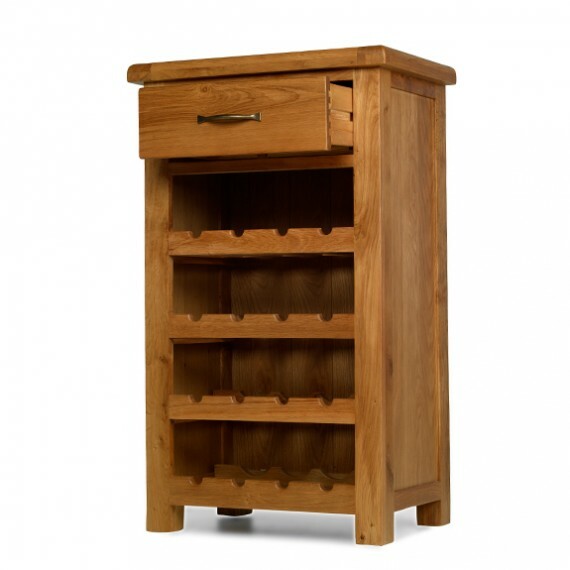 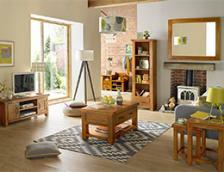 Crafted from oak, its rich grain is brought out to perfection by the Wax Lacquer Finish it's been given. 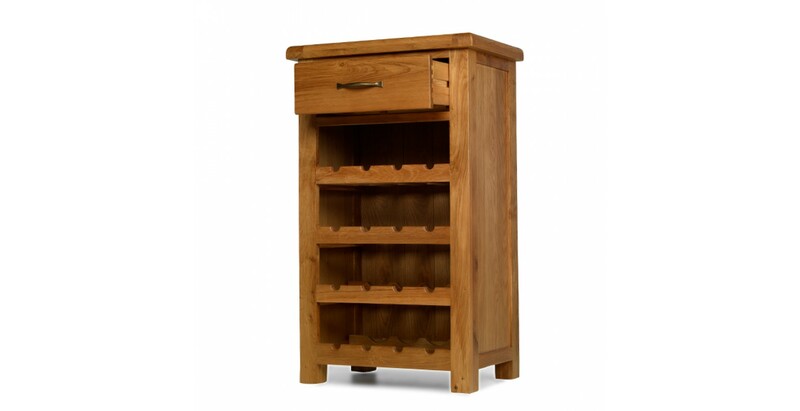 A handy dovetailed drawer with a brass-effect handle will take care of your corkscrews, aerators and other wine bits and bobs and, because it's relatively compact, it will fit just about anywhere – even at the end of your sofa if you want to keep it nearby in case you work up a thirst.